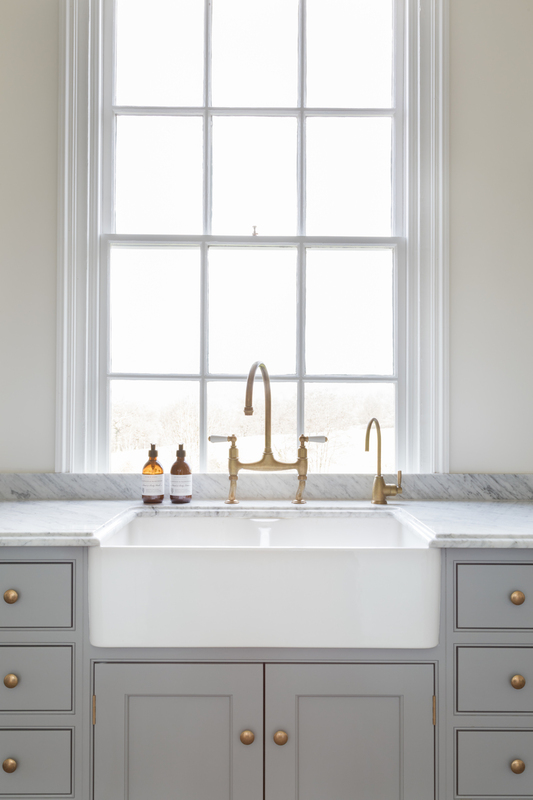 If you’re reading this the chances are you’ve seen our kitchens either on our website, in magazines or via social media so it’s a fairly safe bet to say you’ve clocked that we love installing Perrin & Rowe taps in our sinks. 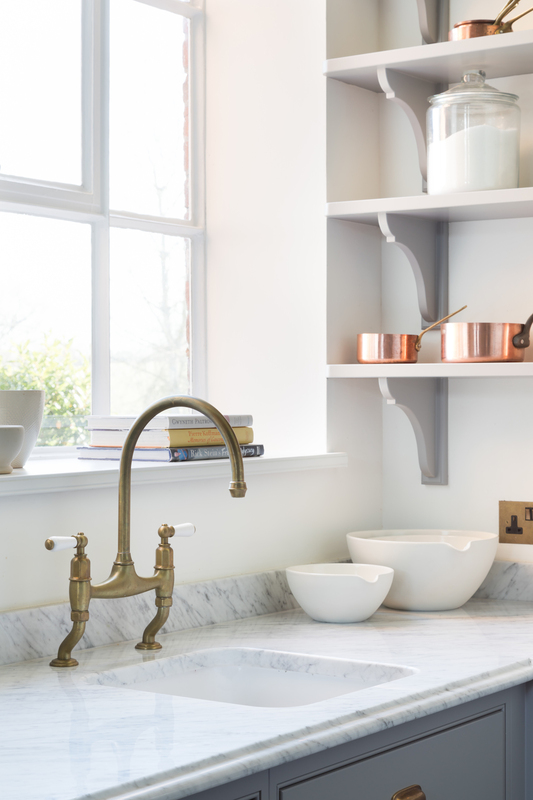 We’ve talked about Perrin & Rowe taps before on the blog before here and here but this is all about the very special aged brass finish. 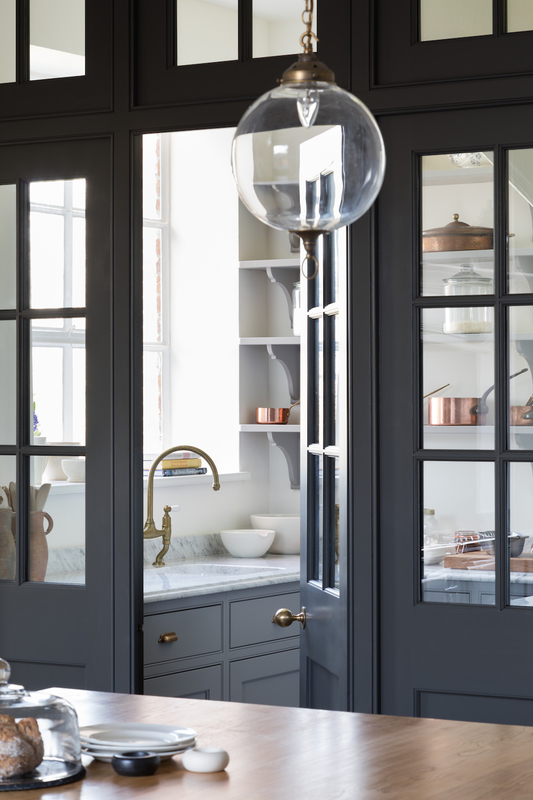 We love to create classic English kitchens that have clean, contemporary lines and for projects where heritage is a key aspect of the design aesthetic, the aged brass hardware gives a very special timeless feeling. We love that the Parthian hot water tap can also be ordered in the aged brass finish to ensure the hardware is all consistent. In this Georgian hunting lodge project, the hardware throughout is antique brass which works perfectly with the cool soft grey colour palette. 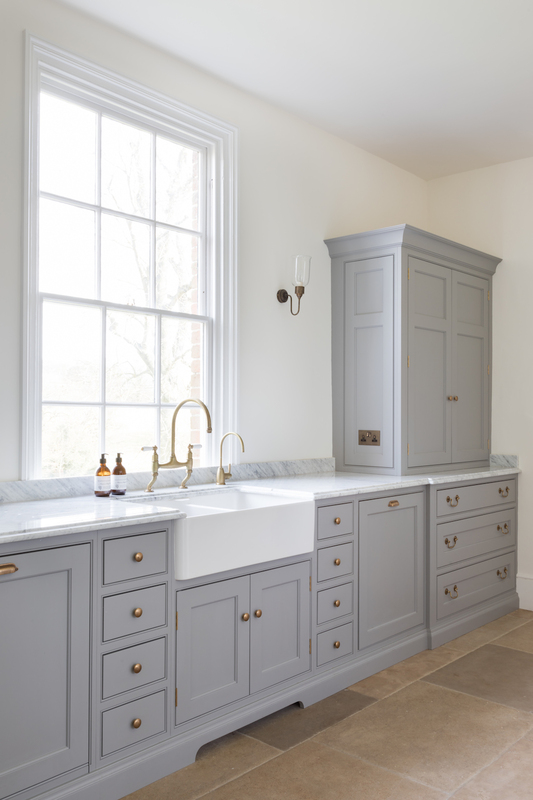 This scullery run has our Bardell knobs and Granger pulls which are also finished in antique brass as are the wall lights and even the electric socket. The natural stone flooring has a huge amount of warmth and depth to it which helps to ensure the overall design feels really balanced and grounded. 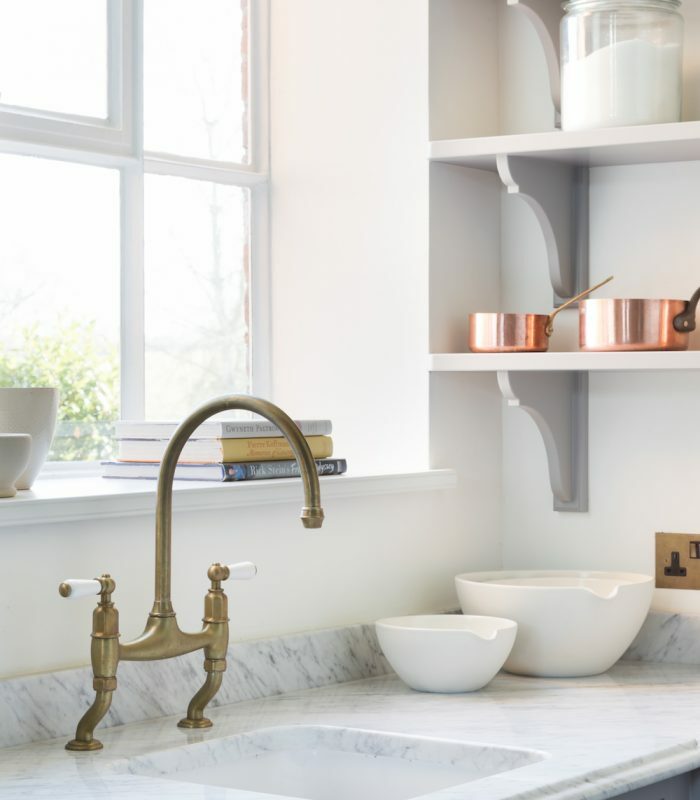 In the walk in pantry there is a second prep sink which has the aged brass Ionian tap by Perrin & Rowe and again, works perfectly with the colour palette and design. For more information about Perrin & Rowe click here.